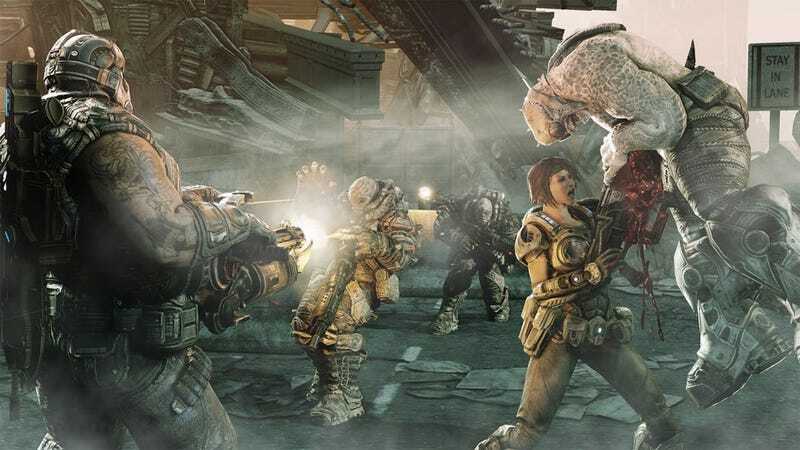 Next year's Gears of War 3 will (somehow) reward players of Shadow Complex, Unreal Tournament 3 and other already released games from the folks at Epic Games, according to the Xbox 360 game's designer. Gears of War man Cliff Bleszinski wrote on Twitter today that fans should "Look for special unlocks in Gears 3 for those of you who have played other Epic games such as Shadow Complex, UT3, Gears, and Bulletstorm," a teaser for next fall's entry in the third-person shooter series. Of course, those "unlocks" could be anything from Xbox 360 Avatar items to multiplayer skins to weapons lifted from the arsenals of those gun-heavy games. We're keeping our expectations calmly in check, but really hope that Epic goes big with those unlocks. Any better suggestions?